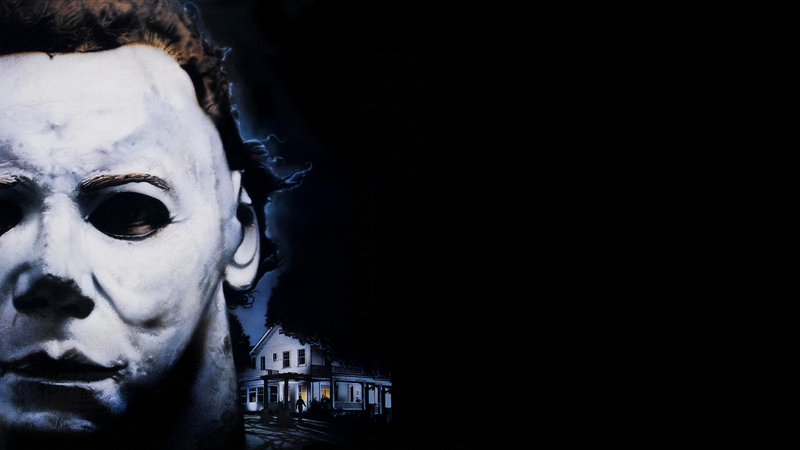 The terror of Michael Myers is back for another terrifying Halloween season. Many can argue the fact of seeing Rob Zombie’s take on the Halloween franchise was handled rather poorly. However, nobody can argue that it’s been awhile since seeing Michael Myers handled in the scary way it was done during the 80’s. Yes, Zombie’s film touched base on the core reasoning for Myers’ rage but didn’t capture the magic that made the white mask wearing giant a terrifying legend. Maybe that can all change as reports are confirming that a new Halloween movie is well underway with Blumhouse currently working on the project. Another hope having piece of news is the creator of Halloween, John Carpenter approves and is returning to produce the new Halloween film. If that’s not enough there’s finally some promotional material that seems very familiar to the original classic. Blumhouse would provide the fans with some news on the upcoming title during the Licensing Expo which is taking place in Las Vegas, which is titled, Halloween Returns. Danny McBride did mention that this new Halloween will not be a complete reboot but will redefine the mythology. The story will remain from the original two Halloween films but will ignore the many later sequels. Shooting is said to start this fall, so more information will be coming out pretty soon but the release date is pegged for October 19th, 2018. John Carpenter will not be in the director’s chair but will serve as Executive Producer and has praised the direction David Gordon Green is taking the film. There’s also a chance that Carpenter may return to score the film, it could definitely add that scary factor that made the original so terrifying. Casting for the movie hasn’t begun yet so the person to take the mantle of Michael Myers is still unconfirmed but it will be big shoes to fill given the previous actor taking the role of Michael Myers made it so special and menacing. All we can do is wait and see exactly what’s going to happen from now until the fall if Halloween Returns will begin shooting in the fall. For now enjoy the promotional material and the fact that Halloween is indeed making a huge return to the big screen.